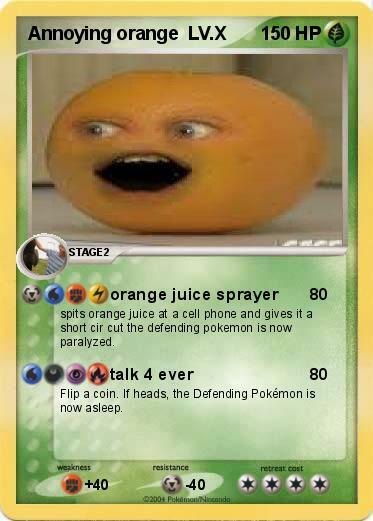 spits orange juice at a cell phone and gives it a short cir cut the defending pokemon is now paralyzed. Flip a coin. If heads, the Defending Pokémon is now asleep.